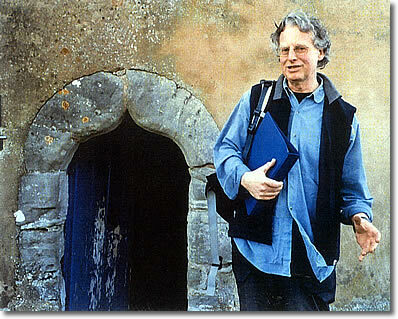 TIM PORTER is an itinerant lecturer, with two subject areas; music and the middle ages. Training originally in music, Tim worked as a composer in touring theatre during the 1970s and 80s; but his studies, researches and explorations of medieval Britain always developed alongside. Tim's theatre career moved gradually forward into adult education; he's been a WEA tutor for nearly thirty years now, and runs courses at several residential colleges in the ARCA network. Currently, he is also a guest lecturer at museums including the Ashmolean in Oxford, and works as a tour guide for specialist history groups. Tim is a member of the NADFAS register, and speaks to history societies, music clubs, and organisations of many other types. Photography is another aspect of his work, and he's become well-known for the atmospheric and unusual slides which he uses. For him, context is the key - whether relating a mediaeval building to its underlying landscape, or linking a symphony to the social background of a great musician, Tim believes in the power of the wider picture, and those lively connections which bring a subject into the light.